Having smart sheep isn’t always a good thing. This is the gate at the bottom of the corral where the ewe yearlings are living. 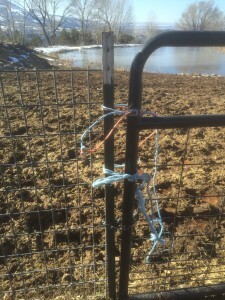 These brats have figures out how to unclip the chain and untie the baling twine. 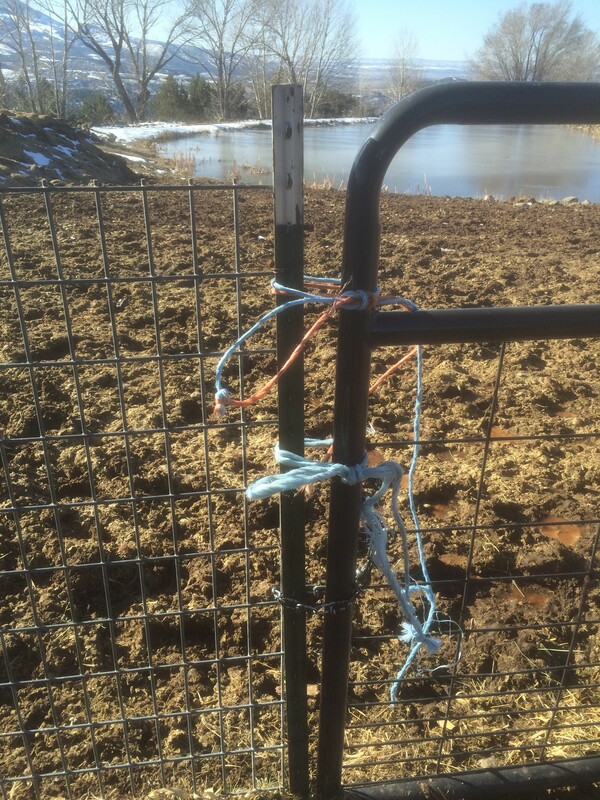 So now we try to put enough separate ties on so that we can check the gate and retie them before they manage to get them all undone.